A dream garden can be a large undertaking, irrelevant of the actual size of the project. “Your perfect garden starts with perfect knowledge. 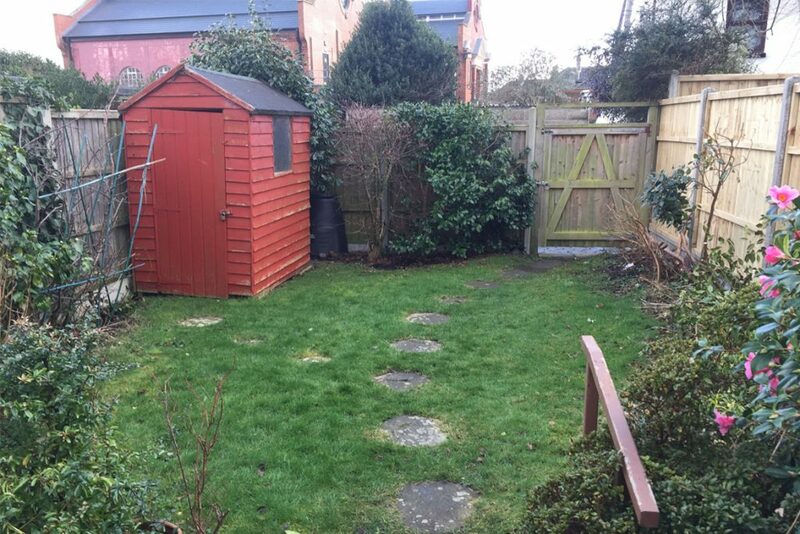 And to obtain this, we need to understand how your garden will be used; who will spend time out there? Doing what? And when? We’ll work to create a design that reflects your personal taste and style, whilst also being practical, affordable, sustainable and beautiful. 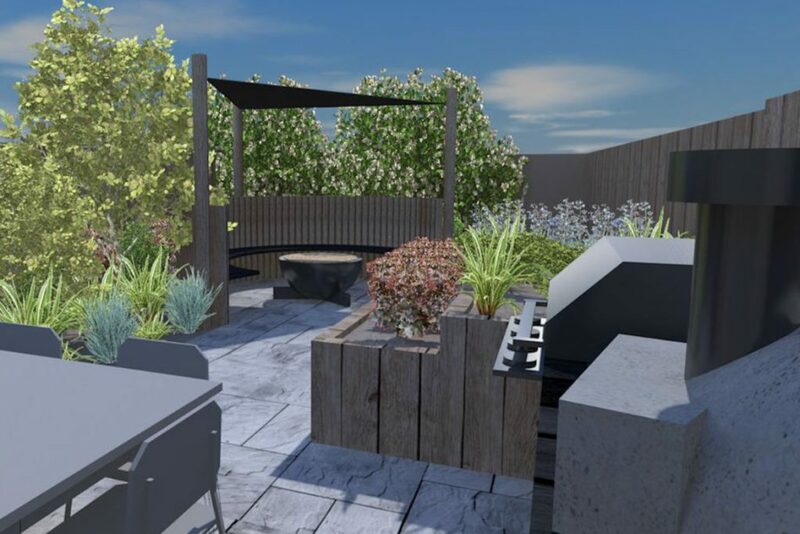 All of which comes together to create a garden that adds value to your home, and enjoyment to your life,” says Dorset Design Build Founder, Peter Jenkins. “We start with an initial design meeting to learn about your garden, current issues and your overall vision. 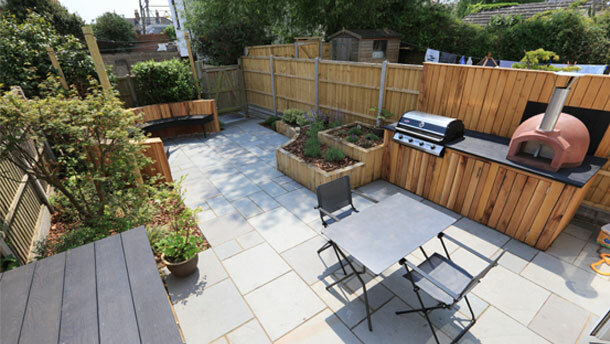 It is important to reach an understanding of how you wish to use the space, as a garden is very a unique and personal space. Most importantly, we take this time to listen to your needs. Whether you’re looking for a large entertaining space or an intimate secluded area, we will design and tailor the garden to you”. 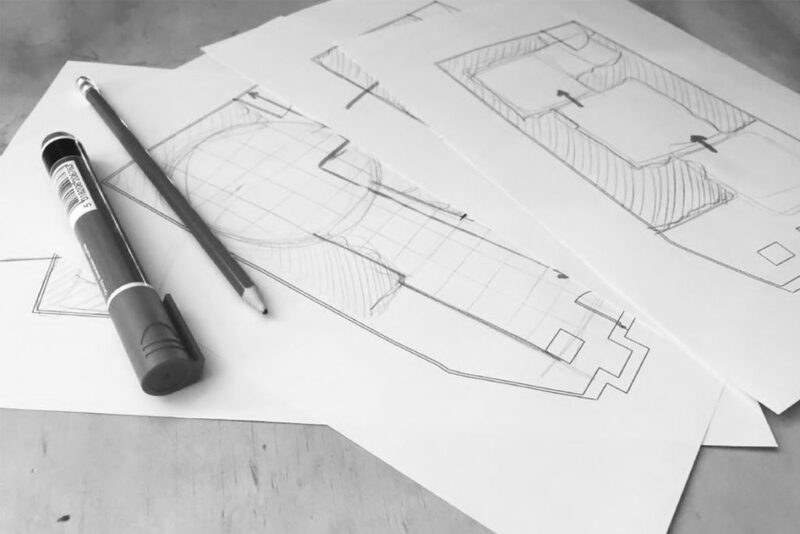 When it gets down to crunch time and final decisions are to be made, the design team is there to guide you through. “We will work with you to create a final design that suits you. We will produce a couple of design concepts presenting different layouts to ensure different possibilities have been explored. We then amalgamate the concepts into a final design, specifying material finishes and rationale behind each design intention. Once we have completed your dream design, we use our state-of-the-art Leica system to accurately mark out your garden using laser technology for fine precision.” says Designer, Jordan Ling, “And so the groundwork begins!” concludes Peter. It’s magical to see your dream garden emerging from the mud. If you’ve been inspired by Dorset Design Build’s behind the scenes look at the work they do, then you might like to explore more of their case studies on their website. If you have any questions, or indeed would like their team to help you with an impending project, then give them a call. They’ll be happy to help.